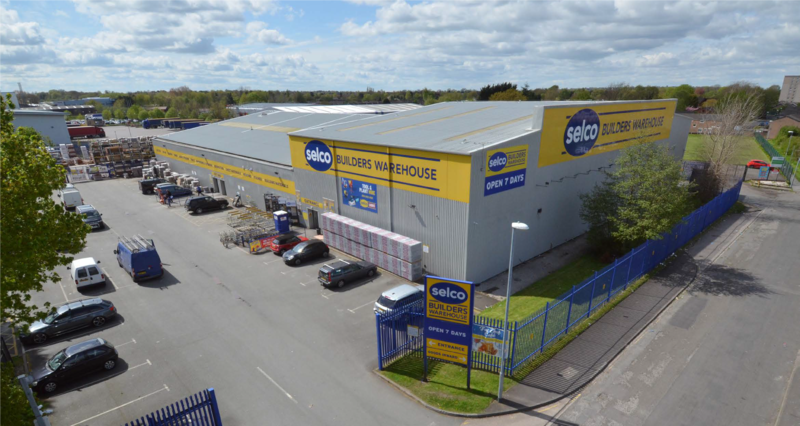 LONDON, 12 March 2019 – Cordatus Property Trust (“CPT”) has acquired a Selco Trade Centre unit in a prime location in Wythenshawe, Manchester, as its latest addition to the fund. The Cordatus Property Trust is a programmatic venture between CBRE Global Investment Partners (CBRE GIP) and Cordatus Real Estate (Cordatus). Cordatus purchased the unit on Timpson Road, Wythenshawe, from IGP Investments Ltd for £3,000,000. The price reflects a net initial yield of approximately 6.9%. In line with its development of a ‘best ideas’ portfolio spanning across the UK, Cordatus has acquired the long leasehold on the Wythenshawe site which is let to Selco with nearly 8 years left on the lease. It trades as a successful trade counter warehouse for building materials trade and business customers. Cordatus has purchased the long leasehold for the Selco Trade Centre site. The lease involves 5-yearly, rent reviews. The property is a modern detached unit comprising approximately 36,328 sq ft. with a 50-space car park. Ereira Mendoza and B8 Real Estate acted for Cordatus. Whitmarsh Holt Young acted for the vendor. Cordatus and CBRE GIP launched the Trust in December 2015 and had an initial funding of £150m. The Trust has now deployed approx. £178 million and continues to seek opportunities to invest in line with its investment strategy. The vehicle is primarily targeting investment opportunities in strong micro locations, primarily in UK regional markets, with typical lot sizes of between £3m to £15m, to generate above market income distribution.